Curious how it all works? Watch our video and learn all about how the DeClutter Team can simplify your life and go from chaos to calm! Click here to check out our organizing packages! No job is too big, no job is too small. Start getting organized TODAY! 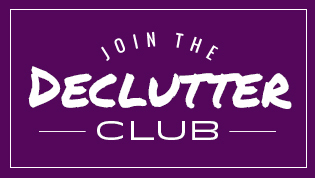 When you join the DeClutter Club, you’ll receive our monthly newsletter filled with tips and tricks to help you DeClutter your life. Photo Organizing, Motivational Speaking & More! Are you overwhelmed? Don’t know where to start? 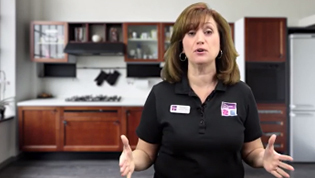 Let The DeClutter Coach Team show you how to have more order and calm in your world. She gave an outstanding presentation! "Deb Cabral engages the audience immediately." "Deb made us a more efficient organization." The bedroom is now an organized retreat. 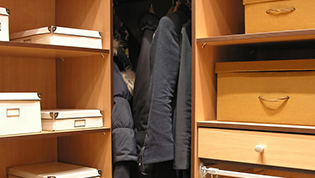 "I'd been putting off organizing some closets." "Call Deb or Brian if you would like to transform your lives." We LOVE our new garage. Take advantage of every suggestion! "Her tips have helped me keep things simple, clean and organized since then." Deb and her crew were fantastic! "She has such a friendly and professional manner, I knew we could trust her to understand..."
We will definitely be having her back! "My new motto is: Get rid of it!" She provided me with great, easy tips. "We have been continuing to work on decluttering based on your advice!" "She has what it takes to motivate you in a positive direction"
"Reading your book has helped motivate me to make 2014 the year that my family gets our home, our lake house & my businesses organized"
"I highly recommend you call Deb. " 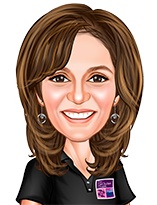 She is the coach you need. "Thanks so much for your great presentation"
Many started clearing out clutter. "I don't know what we would have done without her. " "With gentle reminders, pointers, and encouragement she was able to get even the culprits of the messiest desks..."
One of the best calls I've ever made.